What is the difference between “disc” and “disk”? First, let’s talk about the disc. 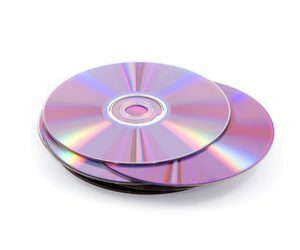 A disc refers to optical media, such as an audio CD, CD-ROM, DVD-ROM, DVD-RAM, or DVD-Video disc. Some discs are read-only (ROM), others allow you to burn content (write files) to the disc, and some can be erased and rewritten over many times (such as CD-RW, DVD-RW, and DVD-RAM discs).All discs are removable, meaning when you unmount or eject the disc from your desktop or Finder, it physically comes out of your computer, and you can take it to somewhere else. The physical DVD, Blu-ray that we buy from DVD stores are all discs. How do we use a disc? As mentioned above, all the CDs, DVDs, Blu-rays that we are so familiar with, are all discs. So, normally we put discs Into DVD or Blu-ray players to play them. If you have a DVD/Blu-ray player program installed on your PC, and a DVD or Blu Ray drive, you can also play a disc on your computer. Being played is the most commonly way that a disc is being used. There are also other usages for optical discs. A lot of programs are physically stored in a disc, so that when you buy them, you don’t have to download them from Internet, instead, you can install the program through the disc. This is going to make the process of installing program faster because it skips the downloading step. How to make a disc? As we talked about earlier, some discs can be rewritten my users, meaning you can write data or video files onto the disc and access the data from somewhere else, or play the video on a DVD or Blu-ray player. The process of writing data and burning a playable video on the disc are different. Writing data on a disc it’s relatively easy, all you need to do is to insert your disc into your drive and copy the data to it. Burning a playable video to a disc, however, is a little bit complex. But don’t be scared, it’s not hard. All you need is a professional Blu-ray burning program to help you burn your video onto the disc so that you can play it on a regular Blu-ray or DVD player. 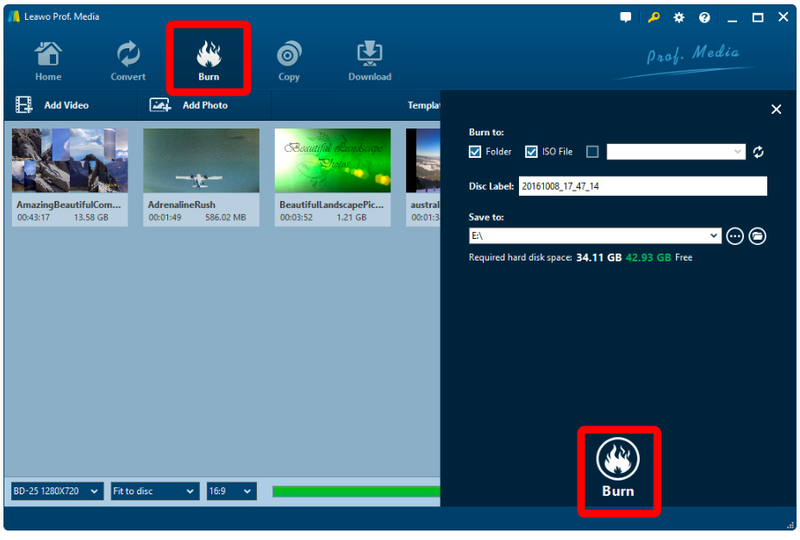 The recommended Blu-ray burning program is I called Leawo Blu-ray Created, and in the following, I’ll introduce the detailed the steps to make a playable Blu-ray disc with Leawo Blu-ray Creator, and you will see what I meant by describing the process “a little bit complex, but not hard”. But the first thing you need to do, is to download the program. Step 1. Insert a disc. 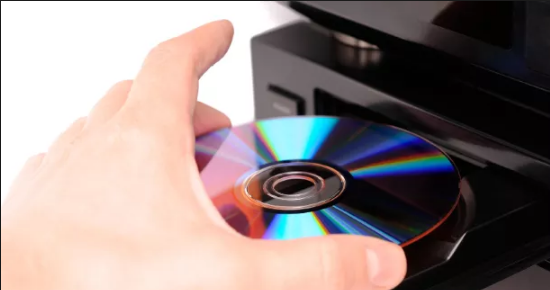 Insert your DVD or Blu-ray disc into your DVD or Blu-ray drive, and make sure that your disc is a rewritable disc, itherwise you will not be able to burn data on it. Step 2. Add videos to Blu-ray creator. a. Click the “Add Video” button to load videos. b. Directly drag and drop files to the program. After loading source video files, you could select subtitles and audio tracks from source videos, play back videos, etc. If you want to add disc menu to output DVD or Blu-ray movie, you could choose from the right sidebar. Leawo Blu-ray Creator offers you multiple preset disc menu templates in different themes like Standard, Business, Education, Childhood, Holiday, etc. Also, it allows you to DIY disc menu with your own images and audios. You could get instant preview of the menu you’ve selected. If you want no menu, just select “No Menu” option on the right sidebar after you load source videos. Step 4. Blu-ray or DVD burning settings. Step 5. Burn video to Blu-ray or DVD. After the burning settings, click the “Burn” button on the popup burning settings panel to start burning videos to Blu-ray or DVD. Leawo Blu-ray Creator would immediately start its work and finish it in a few minutes. Comparing to disc, a “disk” is a lot easier to understand. 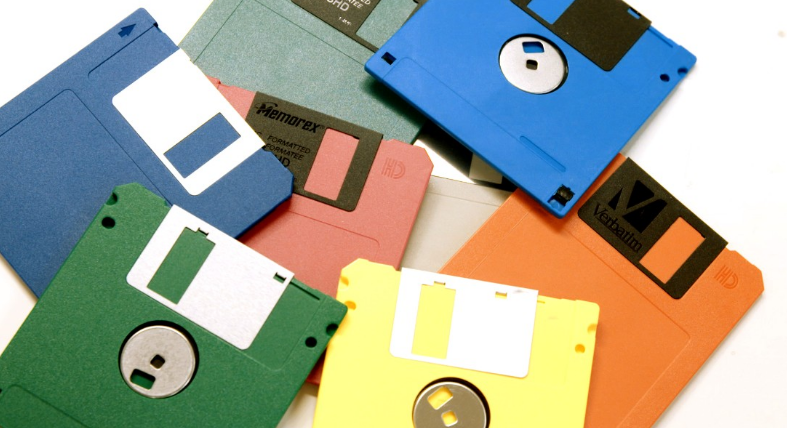 A disk refers to magnetic media, such as a floppy disk, the disk in your computer’s hard drive, an external hard drive. Being different for discs, which include several formats and some of those formats are not rewriteable, Disks are always rewritable unless intentionally locked or write-protected. You can easily partition a disk into several smaller volumes, too. Disks are usually sealed inside a metal or plastic. The hard drive on your computer, the external hard drive you buy to store massive data, can all be described as a “disk”. It is simpler to write data onto a disk, just drag and drop your file in it, and the job is done. Today we talked about the differences between a “disc” and a “disk”. After reading this article, I believe you have noticed that the differences between the two terms are quite obvious. Next time when you a buying a DVD or Blu-ray, I believe you will know that you are dealing with the disc with a “C” for sure.